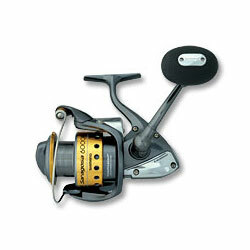 "Great reel for vertical jigging. I havethe 8000 on a Shimano Trevala F and PE4 Daiwa boat braid. I can hammer the drag down and HANDLE some tough AJ's with the Williamson Abyss jigs." "THIS REEL IS A BEAST. IT'S EXTREMELY SMOOTH AND QUIET. IT HANDLED A COUPLE OF 10+ JACKS WITH EASE. I AM CONFIDENT TO BATTLE ANY FISH I COME ACROSS."